Brooklyn’s Prospect Park Zoo director Denise McClean introduces us to two pairs of dingoes now making their debut: Alkira and Binda, and Dacu and Cobar. Naturally, these four dogs, who hail from Down Under, have been given Aboriginal names. If you subscribe to my weekly Sunday photos (and get them in your in-box) you are probably not able to view my videos from your inbox image. 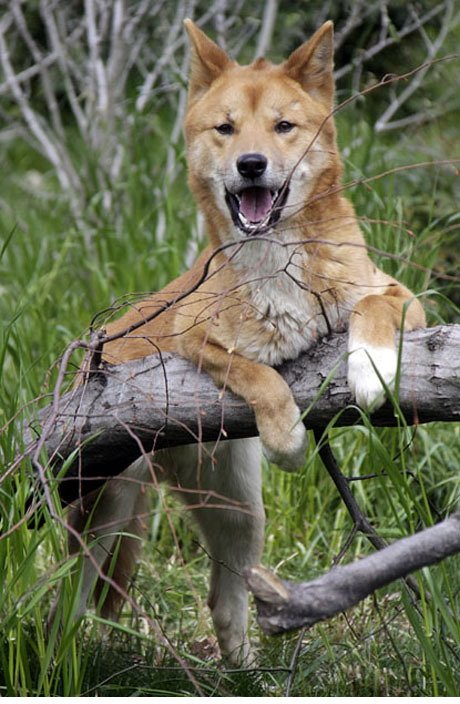 Just scroll up and click on the Blue link (which is the name of today’s send) and it will take you back to my ‘While at the Zoo’ website where you can watch today’s video selections below the dingo photo montage.